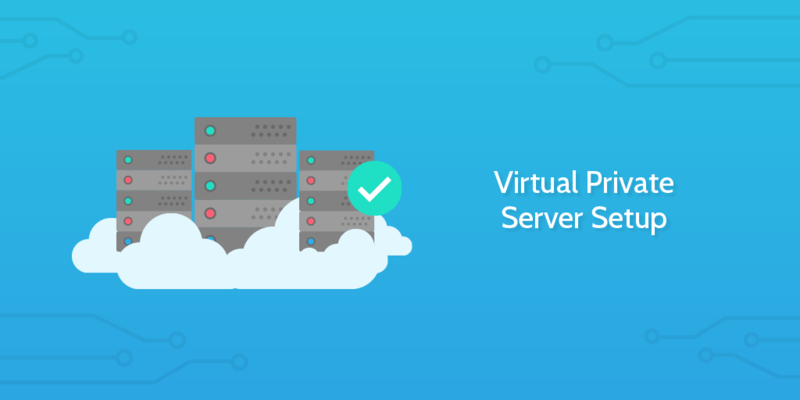 Virtual Private Servers are more widely available than ever before, with a growing demand for advanced web hosting services encouraging a variety of reliable service offerings that give you tremendous (remote) access to the power of cloud computing. Offerings like DigitalOcean make getting your hands on a VPS easier than ever, but server setup can still be a nightmare to wrap your head around. So how do you ensure that your new VPS is set up correctly without spending a small fortune on a custom setup job? The answers is simple; you utilize this virtual private server setup checklist. There are so many VPS vendors available at this point, but we've adapted this checklist for a DigitalOcean setup. Should you need to adapt this checklist to suit a different kind of setup, Process Street lets you do this and more - just check out our knowledge base to see the power of checklists in action. Let's record some basic information to get started. FIll in the form fields below and the checklist will automatically activate certain tasks to best suit your needs. If you do not have an account with them, create one now and choose the plan which best suits your needs. Creating an account is simple. Just head on over to their website and follow the clearly defined calls to action. DigitalOcean also runs near constant promotional offers that give free credit and trial periods to new users, so it's worth checking to see if you could benefit from any of these. 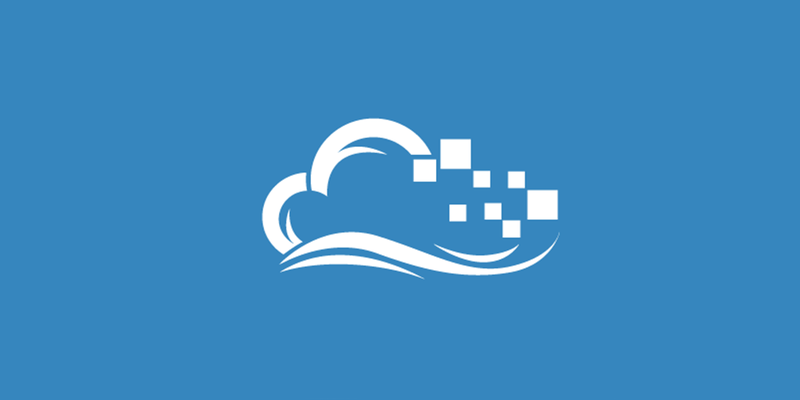 To start off our server setup process, you'll need to log in to your Digital Ocean account. This step is simple but absolutely necessary. 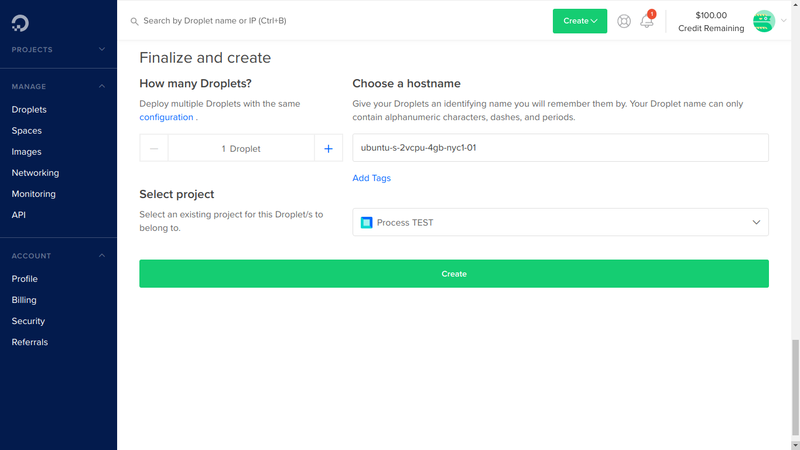 Once you're logged in, we can get started with creating and configuring your Droplet. After logging in, you'll arrive at the DigitalOcean dashboard. 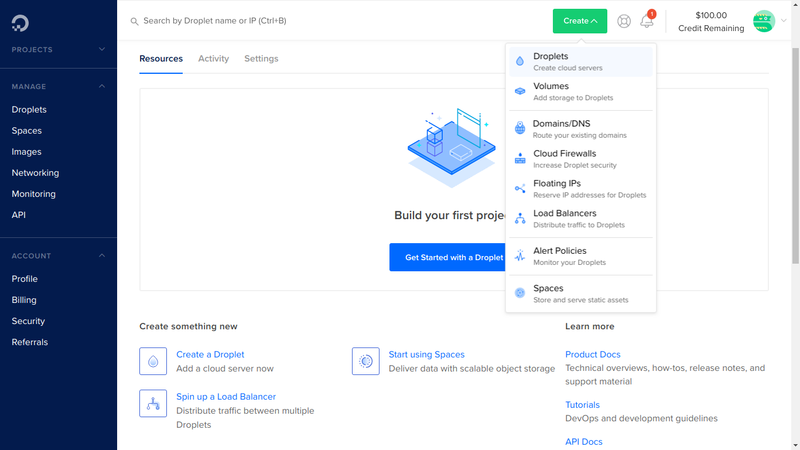 This is a control panel-like interface where you can conduct the setup and configuration of various DigitalOcean services. The next step is to click the green "Create" button at the top right of the screen and select "Droplets" from the drop-down menu. 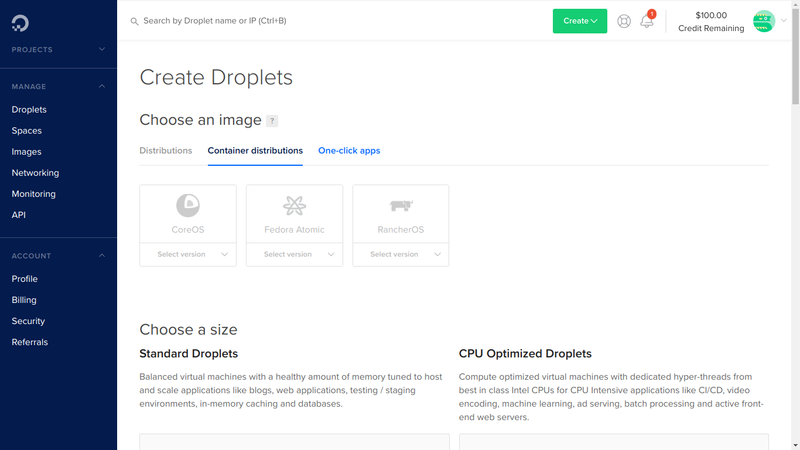 Droplets are just what DigitalOcean calls their virtual private servers. Upon first creating your droplet you will be asked to choose an image. Distribution packages are basic system installs without any additional software. There are a variety of Linux based systems to choose from, including Ubuntu, Fedora, Debian, and CentOS as well as the lesser-known FreeBSD. Identify which you'll be installing with the form field below. This kind of Droplet is designed for use with Docker, and you should only really be using this if you know you'll be using Docker with your VPS. The distributions on offer include CoreOS, Fedora Atomic, and RancherOS.st. Select your preferred install from the drop-down field below and then proceed with the checklist. These are out-of-the-box distros that include readily set up software configurations like MySQL or LAMP, which make getting started much easier if you already know exactly what you want out of the server. Choose the app package you'll be using from the drop-down field below. Next you will be faced with the option to choose the size of your Droplet, or in other words, the amount of memory (RAM) and storage (disk) space it has. There are two types of Droplets, presented as two separate payment plans: Standard and CPU Optimized. Standard Droplets are a one-size-fits-all solution for more general use cases, like website hosting or development environments. These are more suited for less computationally intense tasks but will be fine for most users. CPU Optimized Droplets are best for more CPU-dependant tasks, where the CPU power is more important than how much RAM the system has, or the speed of I/O. Use cases might include batch processing large datasets, or video rendering and encoding. 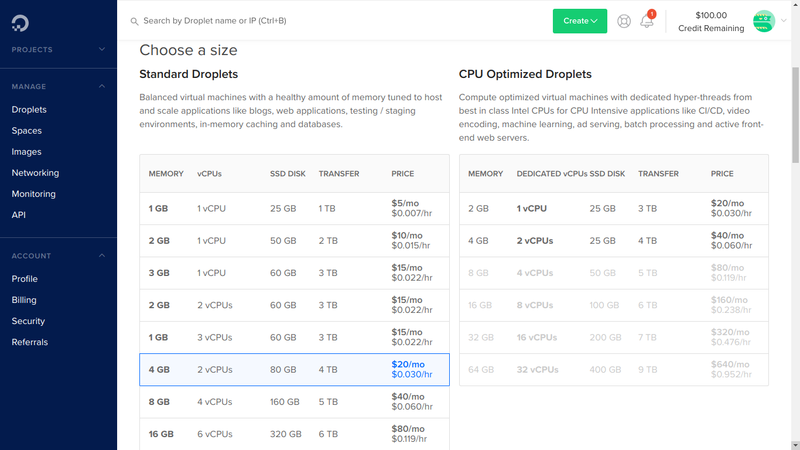 Backups for your DigitalOcean Droplets are created automatically. The setup is basically non-existent, as DigitalOcean does everything for you. As long as you select the option during Droplet setup, the automatic procedure will guarantee you have a stable system backup preserved at regular intervals in case there is ever a problem with your server. Droplet backups are made once per week, per Droplet (where enabled) and have a lifespan of four weeks each. Block storage allows you to expand the storage space available to your Droplet. This storage capacity is presented in the form of "Volumes". Once you've activated a volume, you can freely move it within the same datacentre, attaching and detaching from Droplets like a locally connected storage device. You can also partition and manage the contents of the volumes just as you would a local drive. Not much to say here, except that you need to select the region for your server. As always, we have a form field ready for you to use. For best results, you should select the region closest to where the server will be used. So consider who will be using the server when selecting this option, and then proceed with the checklist. 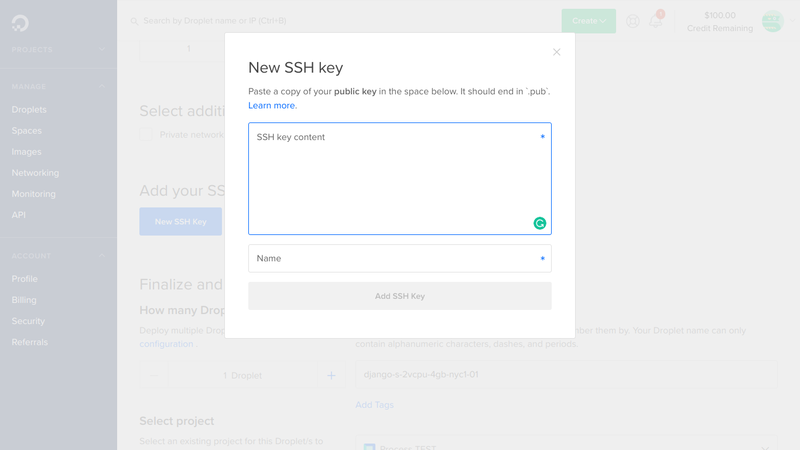 Adding an SSH key is a recommended security measure that is often touted as being more secure than traditional passwords, with many sources calling them more convenient as well. You're mostly set up, with just a few final touches to go. Before proceeding, consider whether you'll need to set up additional options. Now you will be taken to a screen where you can select any additional options. Record which options you choose using the multi-choice form field below. Your virtual private network is almost set up! Now you need to choose the number of Droplets and set a name for each whilst using the form fields to collect all of that data. How many Droplets will you deploy? 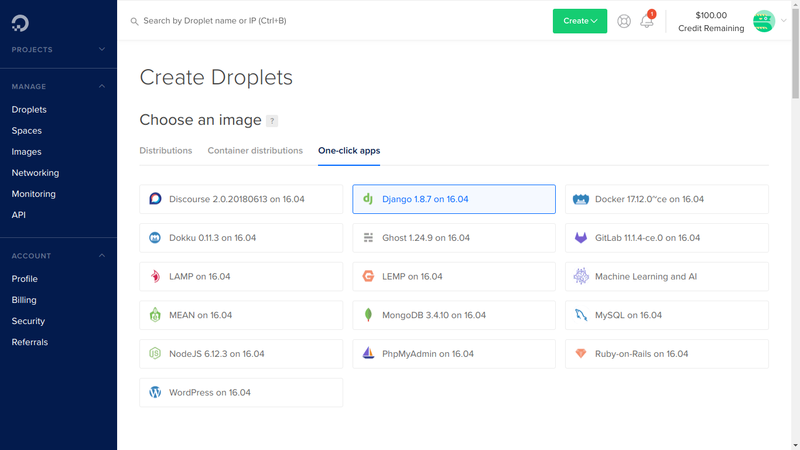 Each Droplet deployed in this manner will have the same configuration, and you can have up to five Droplets set up on your DigitalOcean account at once. The time has finally come! 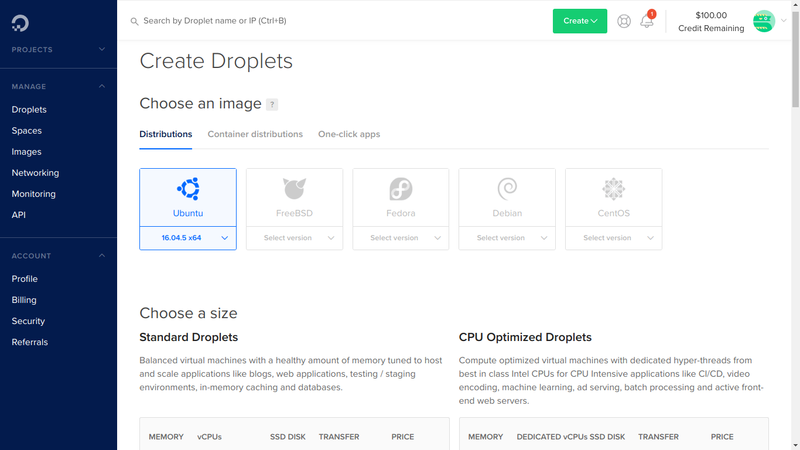 Hit "Create" to activate your Droplet(s) and complete this VPS setup process. Now that everything is done with, you have the results of this checklist in a report-style format ready to send out to whatever sysadmin or client might need them. Just double-check that everything in the email below looks good and hit send. Joel Lee - What Is A Virtual Server, And What Can You Do With One?